Mexico’s biggest opposition party is set to reveal a new proposal which will lower sales taxes and corporate income taxes in the country, in an effort to raise tax revenues and tax compliance. Senator Francisco Labastida, a leader in Mexico’s largest opposition party the Institutional Revolutionary Party (PRI), has revealed that a new proposal will be made public tomorrow to rework the country’s tax rules and raise national tax revenues by an estimated MXN 140 billion (approx. USD 11.68 billion). The PRI’s proposed changes will lower the national sales tax from the current level of 16 percent to 13 percent. The revenue gap generated by the drop will be counteracted by an additional refundable 3 percent sales tax, which will be levied on several items that were previously tax-exempt, such as selected medical goods and food items. Tax payers will be eligible to receive a refund on the new tax if they are able to prove to national tax authorities that they have complied with their personal tax obligations, and purchased their goods and services from tax complying businesses. 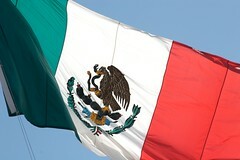 It is believed that the new system will greatly improve voluntary tax compliance in Mexico, and raise tax collections. Senator Francisco Labastida said that the original sales tax and the refundable sales tax will not be applied to basic foodstuffs, such as milk, eggs, beans, corn and pasta. The new proposal would also lower the national corporate income tax rate from 30 percent to 25 percent. The additional Flat Rate Business Tax currently faced by businesses will be combined into the corporate income tax system. The move is expected to greatly lower compliance costs for national taxpayers and international organizations investing into Mexican businesses. The PRI’s proposal will need to be voted on by the Congress, which is expected to occur by September 2011. If approved, the proposal will be voted on by the Senate, and put into effect in 2013.